For Jill Liflander, Sleepy Hollow is a colorful cross-section of cultures come together. But sometimes its feels as though shes living in between different worlds. Ive always had this feeling that all these worlds are happening around me, but because of the language barrier, I dont really know those worlds because I dont speak the language, said Liflander, a teaching artist and the puppeteer behind Jilly Puppets. Liflander often imagines what it must be like for her Dominican and Educadorian neighbors to leave their countries and travel to New York. ?While working on the Circus Latino project and dancing to music from the Dominican Republic and Ecuador on a hot summer day last year with the children and staff of the RSHM Life Center (Religious of the Sacred Heart of Mary Learning is For Everyone Center), Liflander realized that dance could dissolve those barriers. Liflander?realized that the joyful rhythmic movement of dance was is a language that all of us know. I found that the best way to transcend differences of language and culture is through dance ,” said Liflander. We humans all have things in common. We just dont speak the same language, we dont listen to the same music, and we unfortunately dont have the same access to resources. But we all respond the same to music and we can all dance and clap and sing. When people are dancing it reaffirms our humanity. Its the perfect dissolution of barriers. With those barriers dissolved, Liflander felt more connected to her community than ever. She knew then and there that she wanted to create a project of her own and asked RSHM Life Center Executive Director Sister Susan Gardella for permission to work with the center’s students. Next she reached out to her support system to make her vision a reality. Her capoeira instructor Contra-Mestre Cabecao Teixeira of Cai Na Capoeira agreed to dance with her, while her other friends capoeira friends? (Sarah Bergstein Teixeira, Emilia Silva and ?Irene Kabot) agreed to play Afro-Brazilian percussion instruments during her planned performance. She got Fredi Meli on the bass, and capoeiraists Beth Thompson and Carmery Battle to help her tell her story in both Spanish and English. The Warner Library in Tarrytown, who has supported Liflanders art in the past, was gracious enough to serve as the venue for her community dance event, while?Patricia Pinckney Fund of the Rivertown Artists Workshop and the?Office of the Mayor-Sleepy Hollow?are sponsoring the?project. 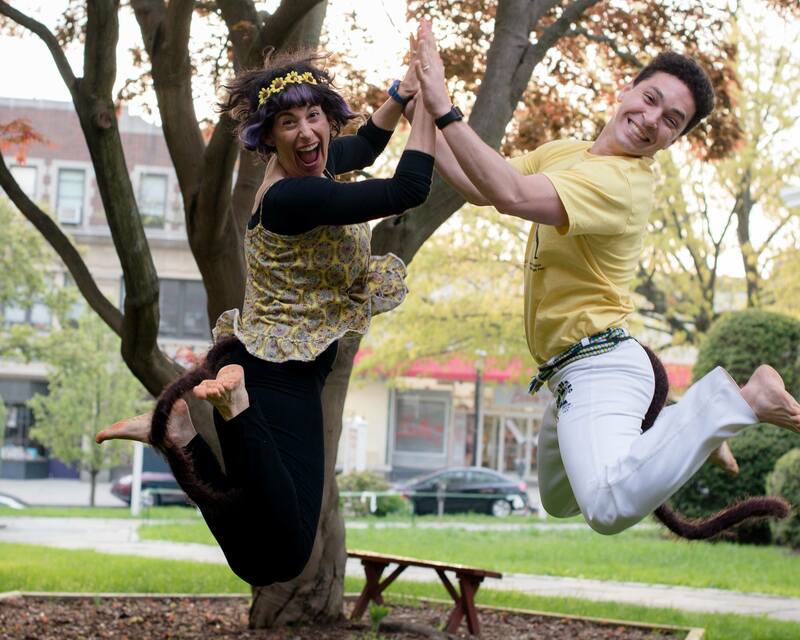 Solo Una Banana (or Just One Banana), a community performance of puppetry, dance, capoeira, live music and storytelling will take place on Saturday, June 11 at 3 p.m. on the third floor. Solo Una Banana tells the story of a young monkey who leaves home to start a new life in New York, but once in his new home finds that he longs for the familiar soul food of his homeland. He just wants one banana.? The show is free so that everyone can attend. I just want people to walk out experiencing joy and there to be a feeling of inclusiveness, said Liflander. I want everyone to feel like theyre a part of something or they are going to a party. There will also be a section in the library of childrens books in both Spanish and English. Everyone came through New York at one point or their parents did, said Liflander. We all have stories about arriving here in some form. Help support Solo Una Banana by funding its Kickstarter. Watch their video below and donate here.